Dreamworks is proud to announce the opening of its 20th spa facility situated at Dukes hotel, Dubai. Dukes Hotel Spa by Dreamworks is ideally nestled in a secluded part of the luxury hotel comprises a total of three couple treatment suites with private bath and shower. The exotic aromas of spices, pure essential oils and the gentle sounds of soothing music intended to bathe your senses and lull you into a state of bliss. The treatment menu is a combination of Asian inspired treatments as well as a selection of S+ |Summe cosmetics powered facials for true spa therapies, specifically designed to offer a unique lasting result. 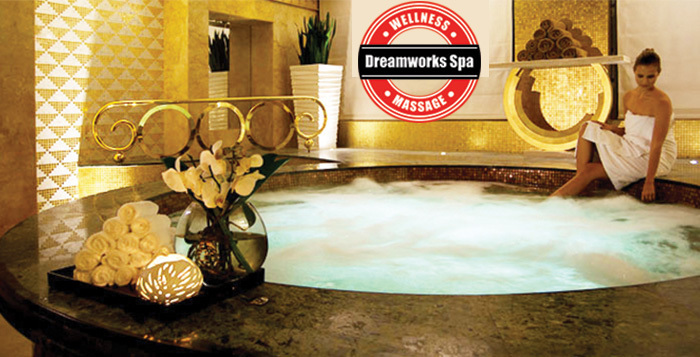 Dreamworks Spa’s signature treatments, such as “4 hands wave massage “, Balinese Massage, and Ultimate Indulgence, are also available. Located on Palm Jumeirah, World’s largest manmade island, Dukes Hotel ,Dubai offers luxury and utmost privacy with its 582 rooms, a pristine beach and a variety of culinary experiences and recreational activities for which the Dubai is renowned. Christian Kiefer- CEO of Dreamworks Spa, said, “We are excited to further expand our portfolio with the collaboration of Dukes Hotel. Our team is looking forward to continue serving our guests with Dreamworks Spa’s signature award winning treatments coupled with the Pinnacle of British hospitality.” Dreamworks Spa, founded in Dubai in 2008, now has 20 Outlets, Is the largest spa operator in the MENA region and has collaboration with many renown hotel brands including , Radisson, Novotel, Hilton, Gloria, Hawthorn Suites, Wyndham, Avani, Ibis, Tryp . www.dreamworks.ae Dreamworks Spa is a spa brand of Cedar Bridge LLC.